Please note that this is an additional handset and charging cradle to be purchased for use with an existing system. This handset cannot be plugged into a telephone line, and will not work without a base station (The BT 7600 main unit with base is available here). Up to 5 handsets can registered to the base of the BT 7600. 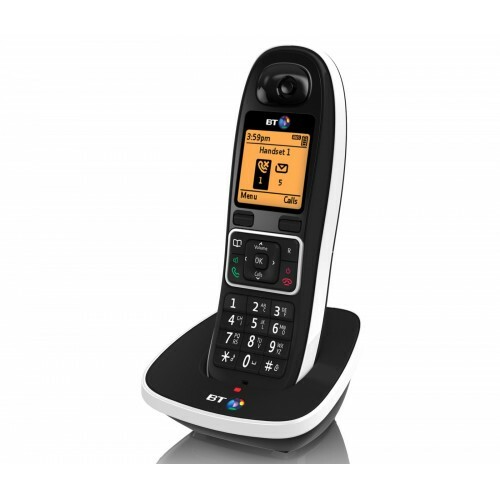 Benefits of using multiple handsets include features such as: intercom, call transfer, conferencing, and shared phonebook. I ordered this handset to complete what I already own. As I am partially deaf volume is important to me, although it is not as loud as my previous system the volume is OK for me. Very neat looking phone and I like the fact that you only need to program one handset and it then transfers all the data to the others. Would recommend these to other people.